Released Feb. 21 on Saddle Creek Records, Cursive’s I Am Gemini is more than your typical concept album, it’s a full-blown 2-act play – or more specifically – a 2-act opera, whose plot would have been right at home performed either in ancient Greece or as an episode of The Twilight Zone. At first, I Am Gemini feels like a departure from Kasher’s usual navel-gazing lyrical content. The band’s landmark album Domestica, for example, allegedly focused on Kasher’s painful divorce; 2003’s The Ugly Organ was an exploration in creative self-loathing, while Kasher gave us his views on organized religion on 2006’s Happy Hollow. By contrast, I Am Gemini, with its good-and-evil twins and sisters with conjoined heads, seems like complete fiction… or is it? But can a concept album this tightly drawn, where each song is dependent on the other to tell a cohesive story, be successful in this singles-driven iTunes era? Can songs on I Am Gemini stand on their own, out of context, without the rest of the album, and is Kasher confident that listeners will take the time necessary to sit down and absorb the album in its entirety? All agree that I Am Gemini is the hardest Cursive album since Domestica. It is brutal, but even more than that, it’s proggy — proggy enough to make the members of King Crimson and Roger Waters blush. At the very least, it’s an about-face from the apparent convergence music-wise of Cursive and Kasher’s other band, the more singer-songwriter based The Good Life. Kasher agreed. Those “other guys” are Cursive’s core members, bassist Matt Maginn and guitarist/vocalist Ted Stevens, along with drummer Cully Symington and keyboardist Patrick Newbery, who played horns on the last two albums, but switched when Kasher once again moved away from less traditional instrumentation as he did when they stopped using cello after The Ugly Organ. Something tells me fans won’t be missing them when the band hits the road. And despite the theatrical nature of I Am Gemini, Kasher said he has no intention of recreating the opera on stage by performing it sequentially. “We respect the ticket holder,” he said. “We’re still playing under the name Cursive, and that implies our full catalog. We’re happy to play the proper hits and some fun, deeper cuts, what we garner as the taste of the avid Cursive listener. 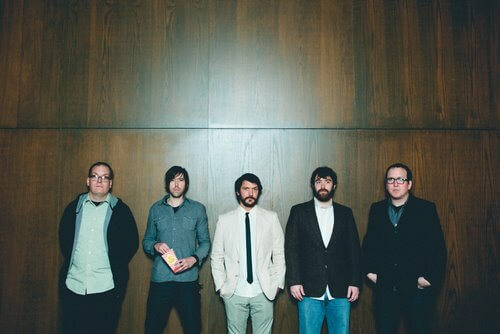 Cursive plays with Ume and Virgin Islands Saturday, March 3, at Slowdown, 729 No. 14th St. Showtime is 9 p.m. Admission is $13 advance, $15 day of show. For more information, call 402.345.7569 or visit theshowdown.com.